If you need professional cleaning of your oven, you can rely on our company to provide you the oven cleaning you need. Your oven will be rid of grime, grease, carbon residue and burnt food. After our cleaning staff take care of the cleanness of your oven, it will work better and you will be ready with the preparation of the meals faster than before. First your oven will be dismantled and its removable parts will be cleaned separately. The hob components, trays, fans and racks will be taken away from your home and soaked in biodegradable cleaning solution. The oven door will be removed and its glass panels will be scrubbed and polished. The interior and exterior of your oven will be rid of carbon deposits, grease, burnt food and grime. After the cleaning technicians sanitize your oven, it will become spotless and sparkling. You can rely on the professionals, working in our company to restore the cleanness of you oven. Order the oven cleaning you need by calling us or using our online booking form. We provide our services in Finchley from Monday to Sunday. If you use our reliable oven cleaning services, you will have your daily used oven maintained in a perfect condition. If you need fast and professional cleaning of your oven, you can use our services. They will guarantee you better performance of your oven and its longer usage. 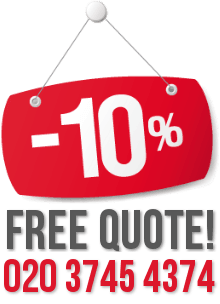 You can call us or send us an e-mail to book your oven cleaning for a date and time, convenient to you. We will provide you safe, fast and thorough cleaning of the interior and exterior of your oven. 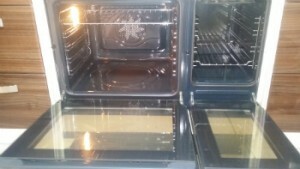 If you home or business property is located in Finchley and you need professional oven cleaning, use our services. We provide them for domestic and commercial properties.